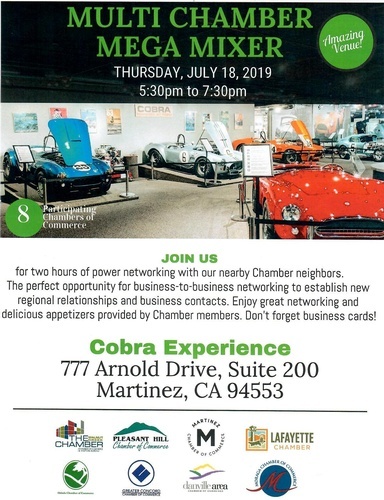 The Martinez Chamber of Commerce invites you to join them and the Pleasant Hill, Concord, Walnut Creek, Lafayette, Antioch, Orinda, Moraga, Danville, Richmond and Brentwood on Thursday, July 18 from 5:30 pm -7:30 pm for a MEGA MIXER at the Cobra Experience! 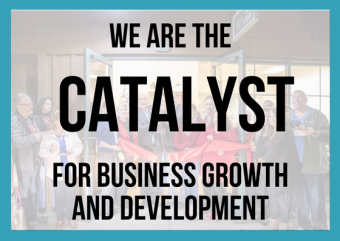 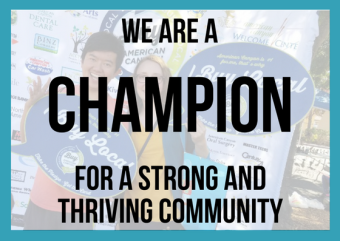 Come and network with over 250 people, enjoy appetizers provided by chamber members; learn more about area businesses while making new connections and refreshing business relationships. 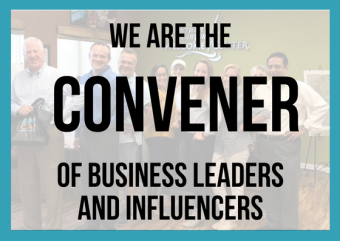 Please RSVP as space is limited to 300.